With so many financial products like pensions, life assurance or unit trusts waiting for your investment, choosing one can be a daunting and arduous task. Without proper financial advice you could find yourself putting money into the wrong product. 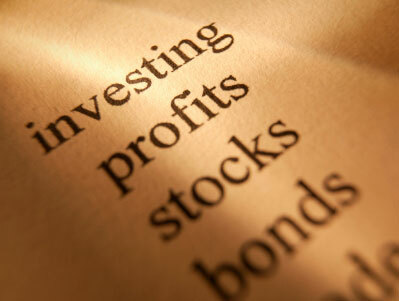 In the current economic climate making financial mistakes could prove most costly. In light of these bleak times we should all be thinking ahead, whether you are saving for the future or a mortgage. You will always be able to find the right product given the correct amount of research and planning. All of this takes time, effort and resources that you simply may not have. This is where a financial adviser can help, they will take the time to look at your specific requirements and help you select the right product. Seeking advice from an IFA isn’t just something for high-flying hedge-funders looking for another billion pound investment, there are numerous times throughout your life when you will have to make important financial decisions such as buying a home, entering retirement or starting a family. When you approach these life-changing periods proper financial planning is essential. If you are juggling work with family life then it’s very likely that you won’t have the time to plan for yourself. By consulting with a financial adviser you will be able to clearly establish your priorities and financial goals, be they long or short term. They will evaluate your circumstances by looking at your current financial state, any debts you may have and what kind of goals you seek from investing. Through these discussions they will help you plan a budget, give you research, financial advice and identify products that may appeal to you. A tied adviser can only offer products from one specific provider, for example a bank or building society. If you are happy to make your financial dealings through a sole provider then this is a fine option, but be aware that this will limit the amount of products available to you. Multi-tied advisers work from a range of products offered by a limited set of providers. They will have usually established ties via commercial relationships thus increasing the products they can offer. However, since they still have a limited number of products, they may not have one suitable for you. We advise that you research which products they have to offer before deciding if they are the right type of adviser. IFAs work without links to any providers so they can offer truly independent advice on products across the whole financial spectrum without bias. They are free to research the market specifically for you and then find the best information suited to your particular circumstances. This is the advantage of going through an IFA. They usually ask for payment either through fixed fees or a commission/fees combination. Do you actually want advice? When looking for financial products do you wish to see the whole range on offer or simply the few that may interest you? What type of advice do you seek? Are you more interested in completely independent advisers or perhaps those that already have ties to existing financial institutions? Are you concerned with advanced qualifications? Different advisers in different sectors often hold different qualifications. Whatever you decide, make sure to ask your financial adviser the question relevant to your needs.